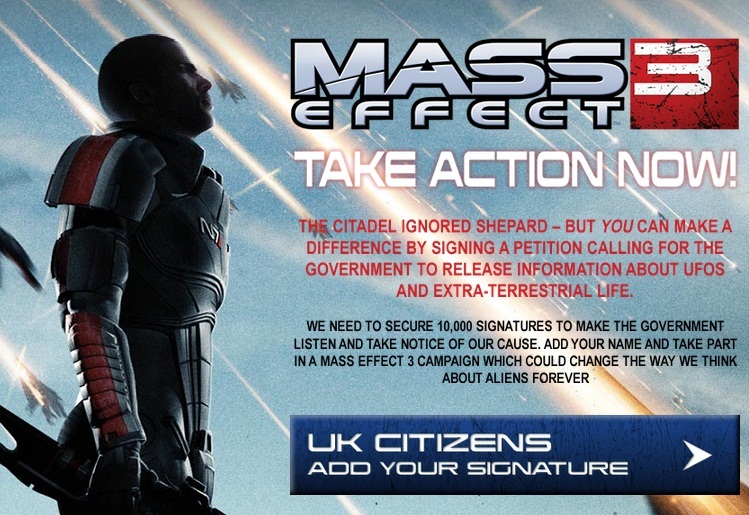 As well as this great stunt in the States, where copies of Mass Effect 3 have been sent into space, a UK petition has been filed to force the government to acknowledge the existence of aliens by releasing any and all information they have about UFOs and extra-terrestrial life. launch of Mass Effect 3 on the PS3 and Xbox 360, claiming the petition could 'change the way we think about aliens forever'. 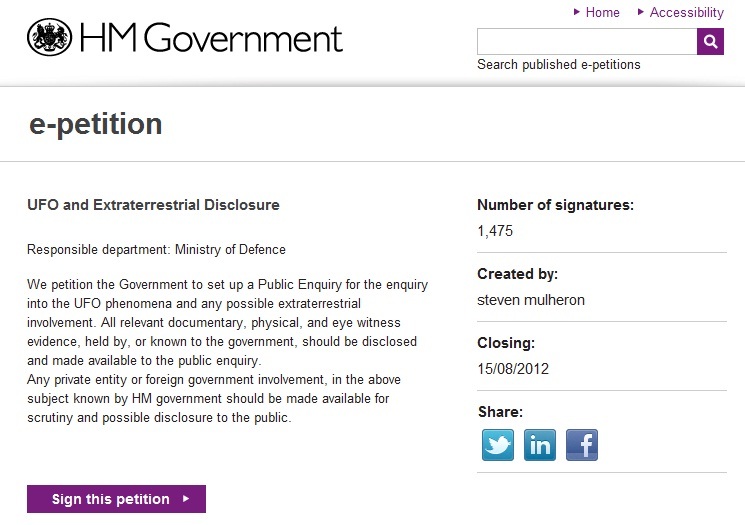 Petitions have been used in marketing for years, it's good to see funny, relevant examples still doing the rounds. Find out more at www.petition.masseffect.com. Mischief PR is behind the effort, on behalf of EA and Bioware.